Ethan Slater And Kyle Jarrow: Squarely SpongeBob Ethan Slater, star of SpongeBob SquarePants: The Broadway Musical, shares his journey to his Tony nomination and SpongeBob's book-writer, Kyle Jarrow, plays a game about sad songs with a spongy twist. 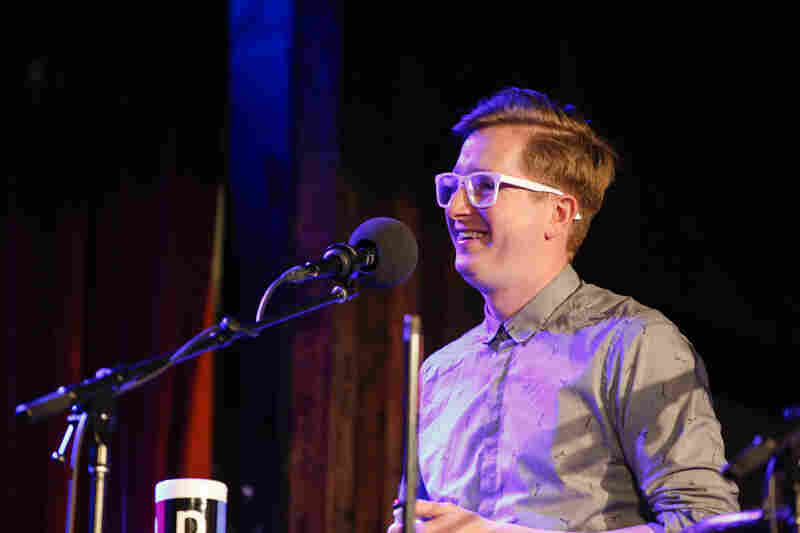 Ethan Slater appears on Ask Me Another at the Bell House in Brooklyn, New York. Ethan Slater, the Tony Award-nominated star of SpongeBob SquarePants: The Broadway Musical, didn't know what he was auditioning for at first. "I was in my friend's dorm room at Vassar College," he told Ask Me Another host Ophira Eisenberg, "and I got a phone call." On the phone was a casting director who offered Slater an audition for a role temporarily titled "Chipper Chip." "'We can't tell you what it is, technically,'" Slater recalled the casting director saying, "'but we think you might be the right shape for it.'" He took the audition, but it wasn't until he hung up the phone that he realized what he was in for. Coincidentally, he happened to be sitting next to a plush SpongeBob doll, across from his friend's SpongeBob poster. "I looked at the doll, and I looked at the poster, and I looked at my friends, and I was like — oh, Chipper Chip is SpongeBob." The show has received critical acclaim and 12 Tony Awards nominations, including Best Musical. Before all that, however, Slater wasn't sure at first whether to accept the role. He'd been offered a conflicting theatrical apprenticeship during the summer of the first SpongeBob workshop, as well as a role in Romeo and Juliet. It was a "surprisingly difficult decision to make," said Slater. "You've got either two weeks of this [SpongeBob] workshop, or a full production of Shakespeare." What changed his mind was the opportunity to work with SpongeBob's director, Tina Landau. "I talked to my professor at the time, and he said, 'Shakespeare will always be there, but if you pass up the opportunity to work with Tina Landau, you're going to regret it.' So I thank Tina for being the reason that I chose the obvious path." Kyle Jarrow appears on Ask Me Another at the Bell House in Brooklyn, New York. 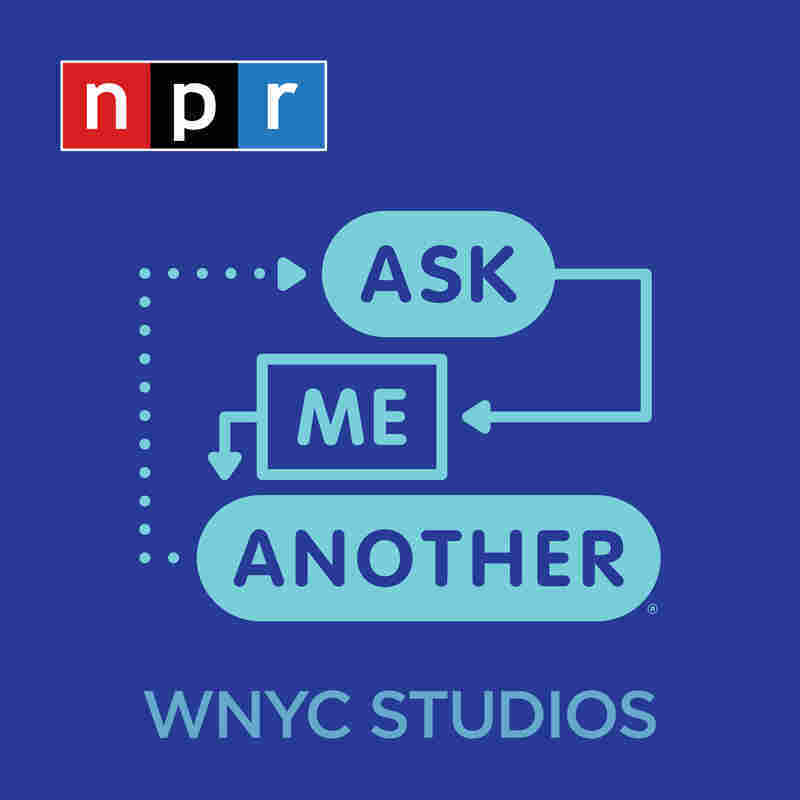 Another SpongeBob co-conspirator joined Slater for an Ask Me Another trivia challenge: Tony-nominated Kyle Jarrow, who wrote the musical's book. 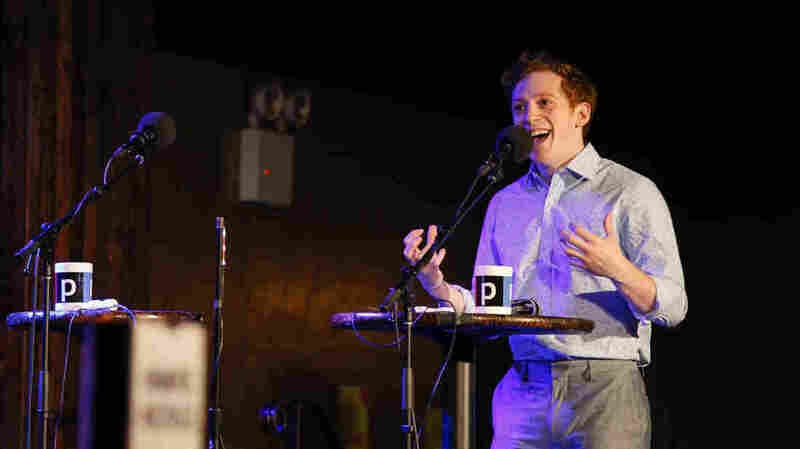 It was no easy task to take an 11-minute TV show and convert it into a full-length Broadway play, said Jarrow, so the solution was to raise the emotional stakes by setting it at the end of the world. "The exact version of end-of-the-world changed a bunch, but we were kinda always on that idea: that it was going to be Armageddon meets Spongebob." For Slater and Jarrow's game, Ask Me Another house musician Jonathan Coulton (also Tony nominated for the music in SpongeBob Squarepants: The Broadway Musical) challenged Slater and Jarrow to apply SpongeBob's famous optimism to iconically depressing songs. "That was both a conscious decision as an artist, and also a choice that I made out of fear and 8 hours of preparation time." "I've learned so many skills over the course of those six years. I learned things like juggling for a scene that got cut, but now I can juggle plates, so that's cool." "SpongeBob has these qualities that I aspire to. Sure, he's a little naive, maybe, but he's so optimistic, and is able to put his love of his friends and family above everything else."